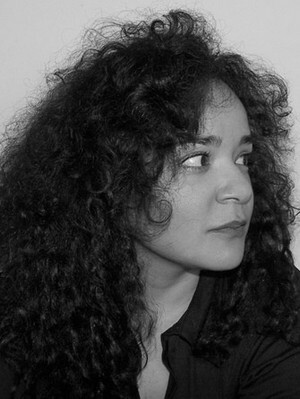 The composer selected to create a new work for the semi-final rounds of the 2013 competition is Gabriela Lena Frank. Frank was born and raised in Berkeley, and still calls the city home. She is composer-in-residence with the San Francisco Chamber Orchestra, and since 2009, the Creative Advisor to the Berkely Symphony Orchestra. She studied composition and piano at Rice University - piano remains her principal instrument - and earned a doctorate in composition at the University of Michigan, where her teachers included William Bolcom. She was scarcely out of college before the commissions started coming, with ensembles such as the Kronos Quartet, the Seattle Symphony, and the Los Angeles Philharmonic playing her music. At the Berkeley Symphony, has found a powerful ally in the orchestra's new music director, Joana Carneiro (who succeeded Kent Nagano in 2009). Carneiro and Frank had worked together when both were in residence at the Los Angeles Philharmonic. Frank says her goals are to raise Berkeley Symphony's national profile, enhance the organization's Web presence, and retool Under Construction, the Symphony's new-music reading series. Mostly, though, she wants to promote the work of young composers. Frank's music has been commissioned and performed by the Kronos Quartet, San Francisco Symphony, Houston Symphony, Chanticleer Ensemble, the Chiara String Quartet, the Brentano Quartet, Yo Yo Ma and the Silk Road Project, Carnegie Hall, the Emerson Quartet, the San Francisco Symphony, the Chicago Symphony, the Boston Symphony and those of Los Angeles, Atlanta and Baltimore. 2009 was an especially eventful year for Frank as she was awarded a Guggenheim Fellowship as well as a Latin Grammy Award for best Contemporary Classical Music Composition for Inca Dances, written for guitarist Manuel Barrueco and the Cuarteto Latinoamericano. In 2010 Frank won a United States Artists Fellow award. In 2011, Frank released a complete CD of her works, entitled "Hilos," on the Naxos label with the Nashville-based ALIAS Ensemble. It broke into the Billboard's top 100 Classical Recordings and was subsequently awarded a rare "10/10" rating by Classics Today. "Hilos" was nominated for a 2012 Grammy Award in the category of Best Small Ensemble Performance. "Seis cantos de los campos for two pianos"
© 1985-2017 DRANOFF INTERNATIONAL 2 PIANO FOUNDATION. ALL RIGHTS RESERVED.